We don’t know about you, but we love it when one item fulfills multiple functions. For the same reason that Swiss Army Knives and other multi-tools make for incredible household commodities, objects that can do two or more things save both time and space. In a word, they’re efficient! We know that space can be tight in classrooms and other educational settings. As such, we’ve starting brewing up some efficient items of our own! Look! It’s a block… it’s a club chair… it’s a lounger… No—it’s the SoftZone® Flip Flop Chair! 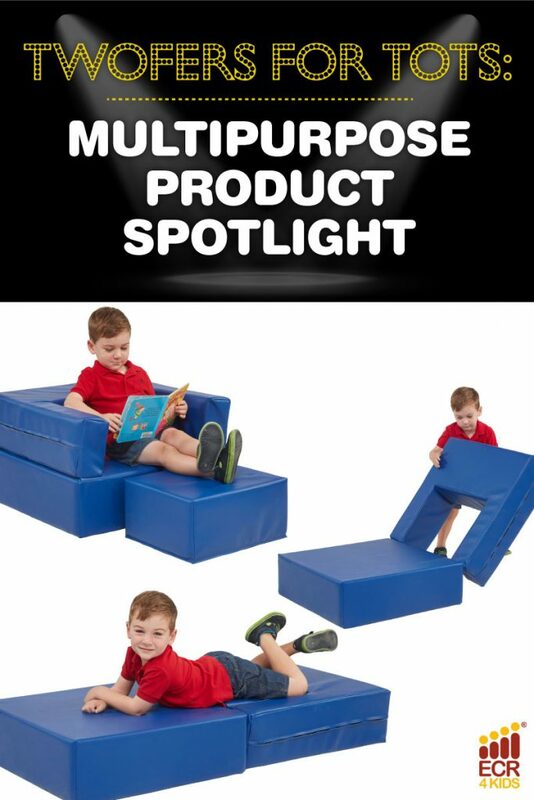 Create a fun and comfortable seating environment with this transforming block. 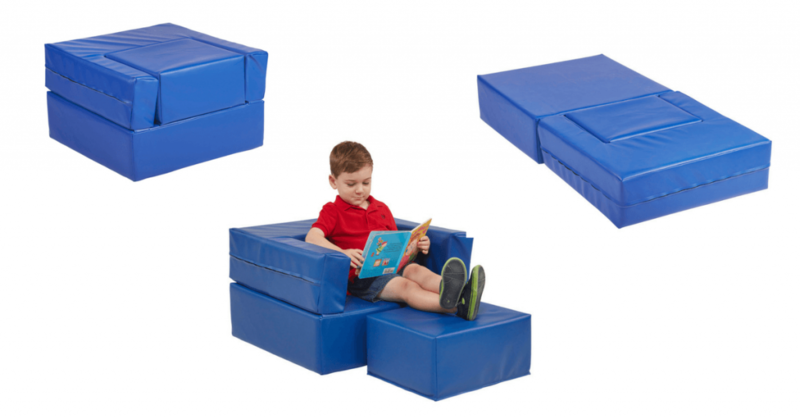 It expands into a club chair with an ottoman that’s perfect for libraries and reading rooms, and collapses back into an easily storable cube! It’s all too easy to ignore the floor. Our rugs do more than spruce up the scenery—they also provide educational value, plus another function! 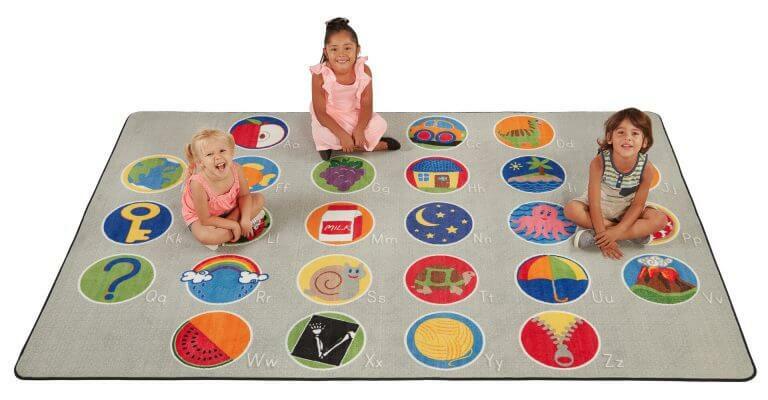 For example, the A-Z seating rug is more than a vibrant alphabet assistant: it’s perfect for quick seating! Assign each student their own letter. Whenever it’s time to gather, challenge them to get their spots in a quick and orderly fashion. That’s just one example—be sure to check out some others in our rug spotlight! 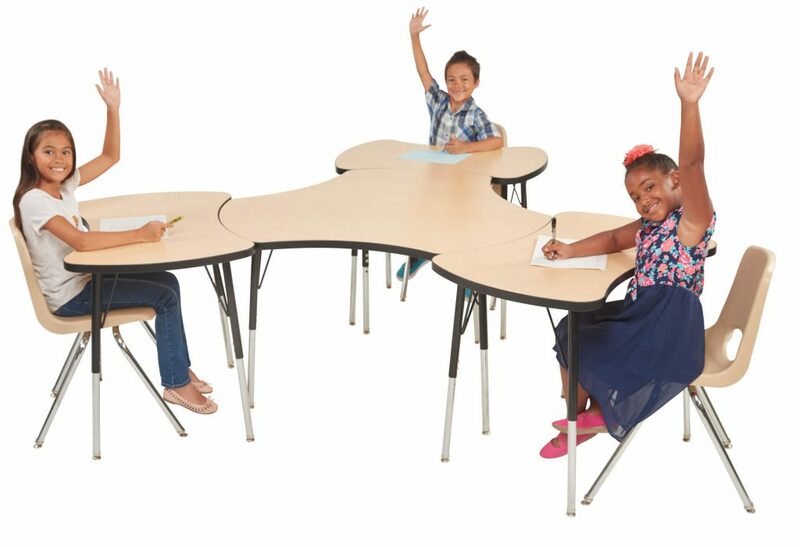 Collaboration tables function as individual desks, but when it’s time to group up, they fit together to create all sorts of seamless formations. No more wasting space with a separate group activity table! These are just a few of the multipurpose products we’re rolling out this year. If you haven’t seen our 2017 catalog, be sure to take a look! And stay tuned to our Facebook page—who knows, maybe one of these items will make its way into an upcoming giveaway.